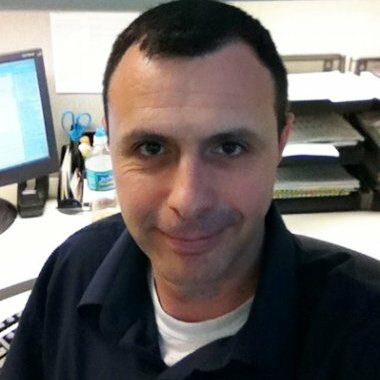 Join us in welcoming Pete Blum, our new Project Transition USA LinkedIN Group Co-Manager! I’m very excited to announce that former U.S. Marine, Pete Blum, has joined our Project Transition USA LinkedIN Group Management Team! As we approach the 2,500 member milestone, we are extremely grateful to Pete Blum for volunteering his time and talents in support of our group members’ success in the civilian career world. Pete is a Tampa Bay resident, a member of our Project Transition USA Advisory Board, and the very embodiment of a Servant Leader. He brings 20 years of experience as an Information Technology Executive and Technology Trainer, and a passion for helping others that has deepened as a result of personally experiencing the challenges many (if not most) transitioning military personnel endure. In his professional role of Chief Information Officer (CIO) for Solvability, Inc. in Tampa, FL, Pete’s focus is on training & technology solutions for small businesses. As a new member of our Project Transition USA group’s leadership team, Pete will be supporting transitioning U.S. military veterans worldwide who are seeking their “next mission” — a meaningful and rewarding civilian career. Thanks in advance to all our members for extending a hearty welcome to our new group co-manager, Pete Blum, by adding your comment HERE. Interested in learning more about Project Transition USA and our LinkedIN group? We invite you to click on this link to JOIN NOW!